I like how it looks like they had a lot of fun getting dressed. From their accessories (her earrings, the pin on his hat) to their shoes, everything is a bit mussed and stamped with individuality. 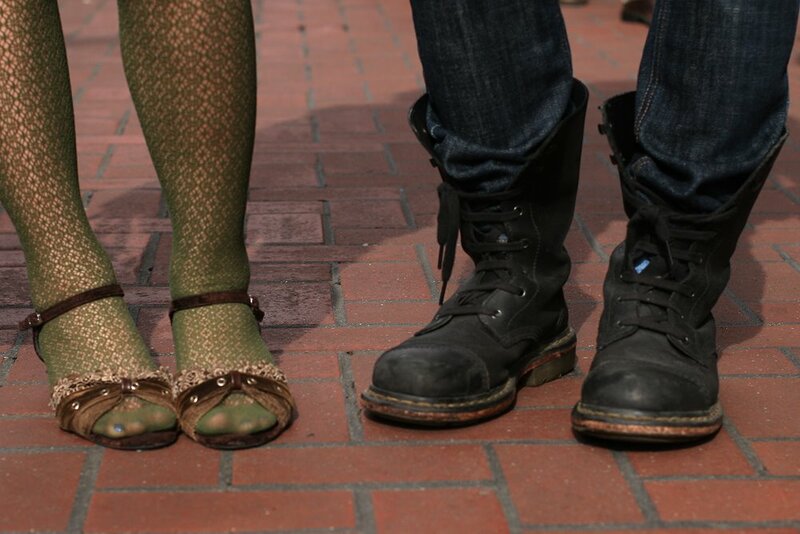 A look at how they re-imagined traditional ways of styling shoes (her interesting tights with ornate sandals and his jeans into unlaced up boots). It's always the little things. They look great together...same sense of style.